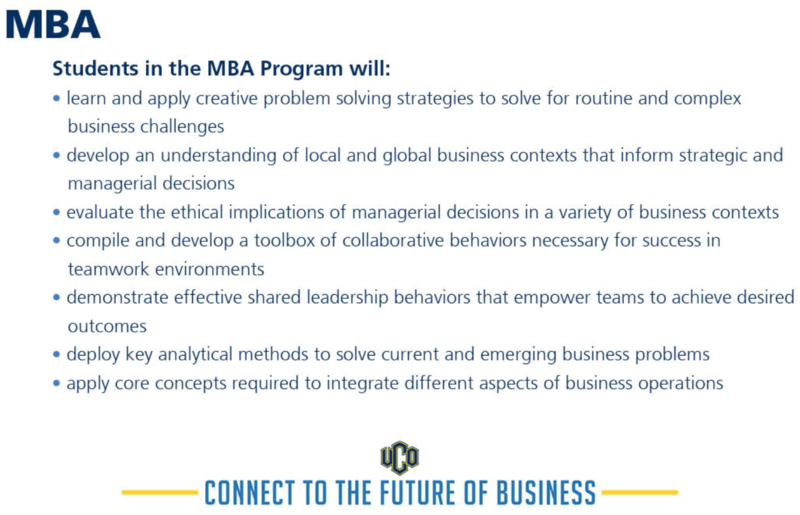 The MBA Healthcare major is designed to integrate the core curriculum of the UCO MBA, while providing specific depth of knowledge in topics related to the healthcare industry. The healthcare major is built for professionals working in a number of industry groups within the healthcare sector, including providers, owners and operators of health care facilities, to individuals in research and development, biomedical research, and pharmaceuticals. From hospitals to clinics to long-term care facilities to research, the MBA in Healthcare provides knowledge and skill development through integrated and application-based learning. Specifically, the program offers targeted courses covering healthcare finance, healthcare informatics, innovation in healthcare management and legal issues in the healthcare environment. The energy systems major is designed to cultivate energy professionals that are as skilled in navigating the complex legal environment surrounding energy production and disposition as they are in forecasting energy supply and demand conditions. Graduates from this major will be well-equipped to enter managerial positions in the electricity, renewable energy and oil and gas sectors. Coursework in the energy MBA emphasis is designed to equip students with essential quantitative skills including advanced optimization methods, time-series forecasting and simulation techniques. Additionally, students will be challenged to apply these skills across disciplines from energy project development applications to retail supply, demand and dispatch. In addition to a strong analytical focus, the energy systems major readies students through seminar courses in energy law, antitrust and regulation. These courses in particular offer a ‘holistic’ approach to the energy major with special attention paid to including industry leaders as seminar speakers and leaders.